"Windows Vista includes an extensive reworking of core OS elements in order to provide content protection for so-called "premium content", typically HD data from Blu-Ray and HD-DVD sources. Providing this protection incurs considerable costs in terms of system performance, system stability, technical support overhead, and hardware and software cost. 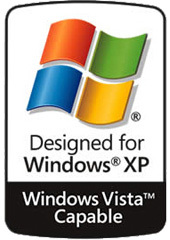 These issues affect not only users of Vista but the entire PC industry, since the effects of the protection measures extend to cover all hardware and software that will ever come into contact with Vista, even if it's not used directly with Vista (for example hardware in a Macintosh computer or on a Linux server). This document analyses the cost involved in Vista's content protection, and the collateral damage that this incurs throughout the computer industry." "The Vista Content Protection specification could very well constitute the longest suicide note in history." Update: This paper is discussed and partially explained in the Security Now podcast #73 and #74. The letter includes an interview with the author, Peter Gutmann.